Even though the Honda Civic is a very affordable sedan, another way to make it even sweeter for your budget is to purchase a used Civic. These stylish and fuel-efficient sedans are available at Burns Honda in Marlton, NJ, serving Mount Laurel and Medford. Loaded with tech and stylish from every angle, a used Honda Civic should be on your "things to buy" list today! You know you'll save money on gas with a used Honda Civic, but it also comes with many standard features for you to enjoy. An Inline 4-cylinder engine with automatic or manual transmission is available, and convenience features include power windows and door locks, air conditioning, storage, remote keyless entry with panic alarm, tilt steering wheel, power-adjustable outside mirrors, a theft-deterrent system and an AM/FM/CD audio system. 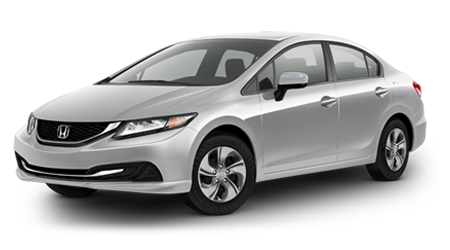 Being a Honda, a used Honda Civic is already a reliable vehicle, but you'll get more reassurance when you consider purchasing a Certified Pre-Owned (CPO) Civic from Burns Honda. To reach that status, a used Civic must first be 6 model years old or newer and read less than 80,000 miles on the odometer. It then must pass a stringent 150-point inspection performed by Honda factory-trained technicians, and have a CARFAX history report which reveals any damages, repair, or accidents that might have occurred. So buying a CPO Honda Civic also comes with a heavy dose of peace of mind! But we're not done -- because a Certified Pre-Owned Honda Civic is backed by an exceptional warranty. You'll get a 12-month/12,0000-mile extension of the New Car warranty and a 7-year/100,000-mile powertrain limited warranty with $0 deductible for covered repairs. You can also purchase optional Honda Care Certified Additional Coverage, which extends the powertrain warranty to 8-years/120,000 miles and features roadside assistance and more vehicle system coverage. Plus, if you're CPO Civic is so equipped, you'll get a complimentary 3-month subscription to SiriusXM. When you visit the Burns Honda Website, you can quickly determine your credit score without a credit bureau inquiry by filling out a secure, online form. Or if you like, you can just apply for pre-approval via a simple credit application on our website. If your credit score isn't stellar, don't fret, as our finance team works with multiple lenders and will work hard to get you into the used Honda Civic you'd like. If you're in Mount Laurel or Medford, there's no need to hesitate if you're in the market for a used Honda Civic. Our courteous sales team at Burns Honda is waiting to assist you with your purchase, so let's negotiate an incredible deal right away!